October 17, 2011 marks 1 year of DJBeTray.com! When deciding how best to celebrate this momentous occasion, I decided a walk down memory lane was the way to go. Then my next decision was what genre and what songs? For this anniversary mix, I’m taking a break from R&B and Hip-hop and mixing some of my favorite pop and rock songs from the past 5 decades. There’s also a little soul, jazz, folk and gospel squeezed in. This is definitely a mix without genre boundaries. I think this departure from the site’s norm is the perfect way to say thank you to all of you music fans who have made my first year so special. I’ve included two versions of the anniversary mix… one is just the music and the other is the music with my commentary; think DVD commentary a la mix tape. I had a lot of fun doing the commentary, since I love talking over music anyway. It gave me a chance to share some of my insights while also telling you a little more about my musical experiences. Hopefully you’ll learn something new and appreciate this trip into a music mix free constrictions. 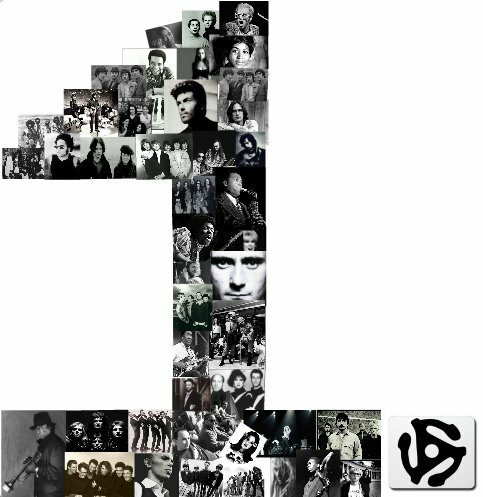 The number 1 above features a picture of every artist included in this mix… see if you recognize them. Thank you all for your support of DJBeTray.com and please be sure to tell a friend about this site! Accept, Share, Give, Live, Feel Speak and Hear Love! * Commentary Correction: David Grohl is from Springfield, VA, not Silver Spring, MD. Download the 192kbps/HQ version (165 MB) here! Download the 192kbps/HQ version (176 MB) with commentary here!